Are you in compliance with the Companies Act? real estate costs to store documents? 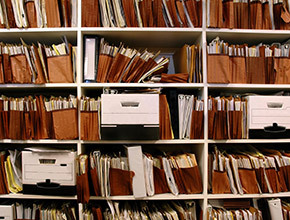 Is your staff taking too much time at filing and finding vital documents? Are your business documents safe from rodents, water logging, fire and hackers? You are out of office and urgently need last year's billing information? If you are director, partner or owner of a company registered under the Companies Act, which requires you to "keep and maintain books of accounts together with the vouchers, invoices and other connected documents or records systematically for a period of not less than eight years immediately preceding the current year." If you believe in "thinking ahead" and want to bring down your infrastructure costs with the use of technology, you will need our services. DocumentDesk helps you eliminate inefficiencies, risks and costs related to storing physical documents. You spend a hefty amount as rent /lease for office spaces and a part of the space is used to store all the vital documents. 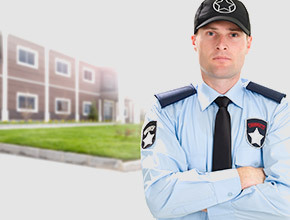 Additionally, you also spend on security details and fire safety measures for your offices. We help you to cut down on the rent /lease and other security measures by storing your documents on private clouds and fortified warehouses. In this age and day having information on your finger tips is so important to take the right decisions. Our web based application will provide you access to your business documents, on your mobile device with the help of a secure login anytime and anywhere. You will be able to look at key documents, sorted and categorized as per your needs. Categorizing and filing documents is an excruciating job if not done right, retrieving a specific document is like finding a needle in a hay stack. With our distinct service we index and categorize all your documents in no time. The documents are hard bound into ready-to-access archives using our unique indexing techniques. Retrieval of necessary documents in both forms will be easier than saying the word "Easy". DocumentDesk digitizes and stores all your documents on our secure private servers which can be accessed only through a SSL certified and encrypted web application. You also have an option to store the physical documents at a secure warehouse. This way, you will be provided with additional fail-safes to protect your data from hackers, errant employee, crafty burglar also from calamities. You may not have access to vital official documents when you are out your office and need them urgently. 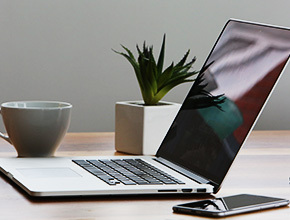 Our web application makes this possible by storing them on a private server allowing to view, print or download them when required, easily with unique user identification on any electronic device, be it your laptop, tablet or smart phone. DocumentDesk Services LLP (DocumentDesk) maintains this site "www.documentdesk.com" for your information, education, and communication. Please feel free to browse the Site. Although care has been taken to ensure the accuracy of the contents of this Site, DocumentDesk makes no warranties or representations as to its accuracy and DocumentDesk specifically disclaims any liability or responsibility for any errors or omissions in the content on the Site. Neither DocumentDesk nor any other party involved in creating, producing, or delivering the Site is liable for any direct, incidental, consequential, indirect, or punitive damages arising out of you access to, or use of, or inability to use or access, the Site. Without limiting the foregoing, everything on this Site is provided to you "AS IS" WITHOUT WARRANTY OF ANY KIND, EITHER EXPRESSED OR IMPLIED, INCLUDING, BUT NOT LIMITED TO, THE IMPLIED WARRANTIES OF MERCHANTABILITY, FITNESS FOR A PARTICULAR PURPOSE, OR NON-INFRINGEMENT. Please note that DocumentDesk assumes no responsibility, and shall not be liable for, any damages to, or viruses that may infect, your Computer equipment or other property on account of your access to, use of, or browsing in the Site or your downloading of any material, data, text, images, video or audio from the Site. The material / information provided on the Site is either the property of, or used with permission by, DocumentDesk. Unless otherwise specified by these terms and conditions or specific permission provided elsewhere on this Site, the Site is for your personal and non-commercial use. You may not distribute, exchange, modify, sell or transmit anything you copy from this Site, including but not limited to any text, images, audio and video, for any business, commercial or public purpose. As long as you comply with the Terms and Conditions of Use, DocumentDesk grants you a non-exclusive, non-transferable, limited right to enter, display and use this Site. Any unauthorized use of the content including images, video, animations, may violate copyright laws, trademark laws, the laws of privacy and publicity, and civil and criminal statutes. The Site may provide links to other Web Sites, which are not under control of DocumentDesk and it shall not be responsible in any way for the contents of any such web Sites linked to or from its Site. Any inclusion of such links shall not imply / interpreted as an endorsement of the owner / sponsor of the site or the content of the site. DocumentDesk disclaims all warranties, express and implied as to accuracy, validity, and legality or otherwise of any materials or information contained on such sites. The Trademarks, logos and service marks (collectively the "Trademarks") are the trademarks of DocumentDesk and / or its affiliates. Any other trademarks used in the Site are trademarks of their respective owners. Nothing contained on the Site should be construed as granting, by implication, or otherwise, any license or right of use any Trademark displayed on the Site without written permission of DocumentDesk.